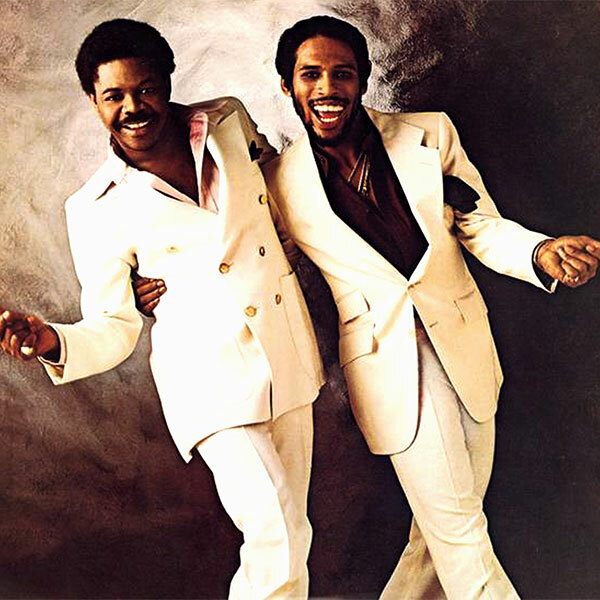 A Philadelphia songwriting, production, and performing duo who were prominent at Philadelphia International during the '70s, Gene McFadden and John Whitehead also scored a number one R&B hit as vocalists. Their single "Ain't No Stoppin' Us Now" was number one R&B in 1979 and peaked at number 13 pop. The two were members of the Epsilons as teens, a band that toured with and were managed by Otis Redding until his death in 1967. They later signed with Stax and had a moderate hit in 1970 with "The Echo." When Lloyd Parkes left, McFadden & Whitehead changed their name to Talk of the Town and began working with Gamble & Huff. Although they were being primed to record for North Bay, when Gamble & Huff discovered the duo's writing talents, they decided instead to employ them in that capacity at their label, Philadelphia International. Their first collaboration came on the Intruders' "I'll Always Love My Mama." They later wrote and/or produced such classics as "Backstabbers" for the O'Jays; "Bad Luck" and "Wake Up Everybody" for Harold Melvin & the Blue Notes; and "Let's Groove," "Soul City Walk," "Strategy," and "Don't Let Love Get You Down" for Archie Bell & the Drells. They also worked with Carolyn Crawford and did outside projects during the '70s and '80s with Melba Moore, Gloria Gaynor, Freddie Jackson, Willie Collins, and Beau Williams. The duo cut their own album, McFadden & Whitehead, in 1979 and made more singles for TSOP in 1980 -- including the Top 30 R&B hit "I Heard It in a Love Song" -- and for Capitol in 1982. In 2004, Whitehead was shot and killed, believed to be a victim of mistaken identity. Two years later, McFadden's life was taken by cancer. As of 2013, Whitehead's murder remained unsolved and was a subject of TV One's series Celebrity Crime Files.